Publisher: ECW Press, coming May 12, 2015. 382 pages. It’s 1989. The Troubles are raging in Ireland, bombs exploding in England. In this prequel to the Collins-Burke series, Father Brennan Burke is home in New York when news of his sister’s arrest in London sends him flying across the ocean. The family troubles deepen when Brennan’s cousin Conn is charged with the murder of a Special Branch detective, and suspected in a terrorist plot against Westminster Abbey. The Burkes come under surveillance by the murdered cop’s partner and are caught in a tangle of buried family memories. From the bullet-riddled bars of Belfast to an elegant English estate, Ruined Abbey combines a whodunit with a war story, love story, and historical novel, while exploring the eternal question: what is fair in love and war? It all starts with a ruined abbey. First thing to make clear to my usual readers: this is not a cozy mystery. It's not that it's horribly violent (though there is a great deal more violence than in most cozies), it's that it is a story of a time and circumstances that have very little that feels light about them. In fact, I'm not completely sure this is really a mystery, so much as a historical novel. Either way, it was a gripping read, with a mix of wonderful period atmosphere, relationships of all sorts, and some real tension. The issue of IRA and terrorism vs. legitimate warfare made for some thoughtful moments; though the author is careful to make the characters we care about draw the line well short of actions we would have to condemn, we are forced to acknowledge the reality of war. I got a good dose of history, not only from the 1980s, but the "Irish problem" going back through the 20th Century, not to mention the history that went all the way back to Cromwell. It left me uneasy, which I think is a testament to the author's writing. Although at first I wasn't sure I liked the book, the characters and the style grew on me, as did sympathy for their politics, if not their methods. I would consider reading more of this series, when I'm in the mood for something a little darker than my usual cozy. For those who like historical fiction and are up for some grim realities. There is a mystery, but it's not presented in the classic form. 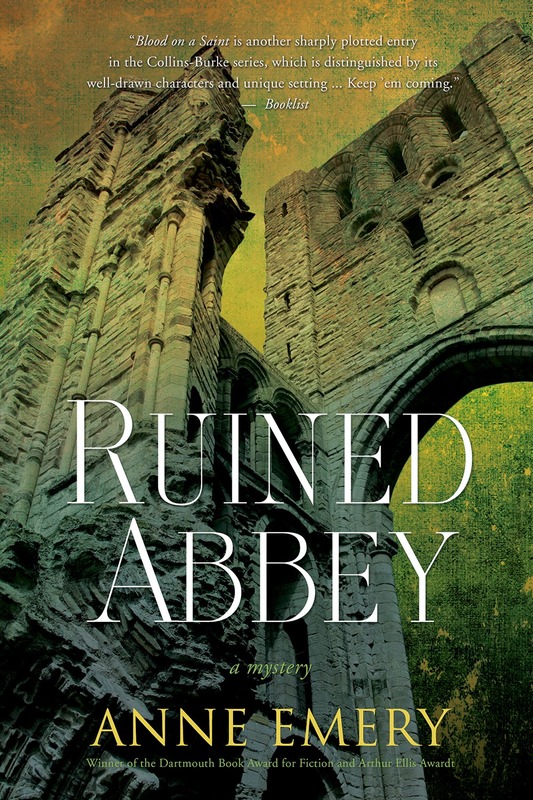 Full Disclosure: I received an electronic ARC of Ruined Abbey from the publisher, and received nothing further from the writer or publisher in exchange for my honest review. The opinions expressed are my own and those of no one else. I am disclosing this in accordance with the Federal Trade Commission's 16 CFR, Part 255: "Guides Concerning the Use of Endorsements and Testimonials in Advertising." I think anything decent on Ireland should leave you uneasy. There are arguments for both sides and both have committed atrocities. What is the author's background? All I know about the author is her official bio--she's Canadian, and has a degree in law. Not sure where Ireland comes into it.